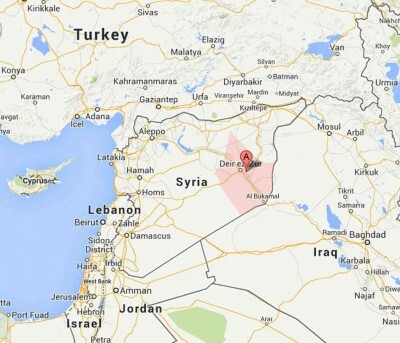 The strike in the area of Deirel-Zor was originally attributed to Australian, US and Danish forces operating as part of the US-led coalition but the UK Ministry of Defence (MoD) tweeted on Monday that it had been involved. 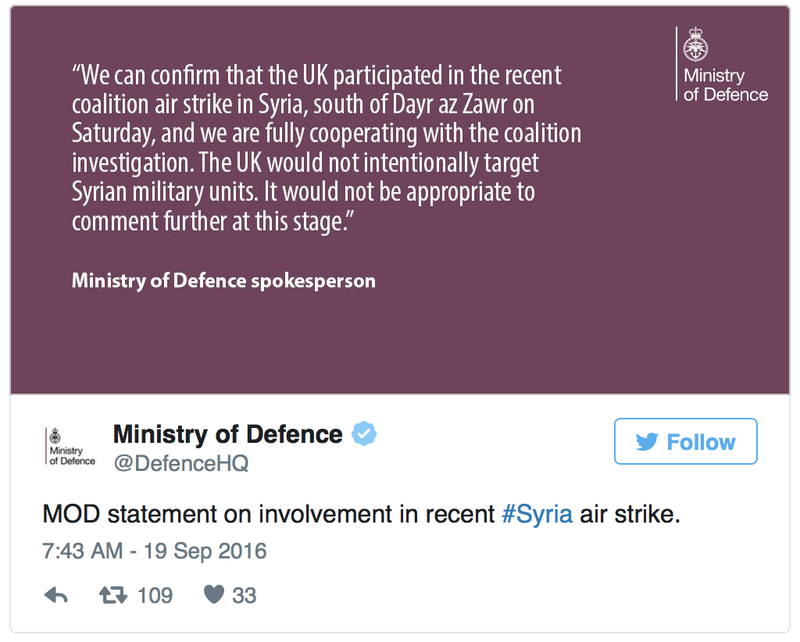 An MoD spokesman said: “We can confirm that the UK participated in the recent coalition air strike in Syria, south of Dayr az Zawr on Saturday, and we are fully cooperating with the coalition investigation. On Monday afternoon Defence Command Denmark, the headquarters of the Danish military, also admitted it’s involvement in the deadly strike. “Two Danish F-16s participated along with other nations’ aircraft in these attacks. The attack was immediately stopped when a report from the Russian side said that a Syrian military position had been hit,” a statement said. “It is of course unfortunate if the coalition mistakenly struck anything other than ISIL forces,” the statement continued. It was reported Sunday that sixty-two Syrian soldiers were killed and over 100 injured in the airstrike by the US-led coalition, Russia’s Defense Ministry spokesman, Major-General Igor Konashenkov, said, citing information received from the Syrian General Command. 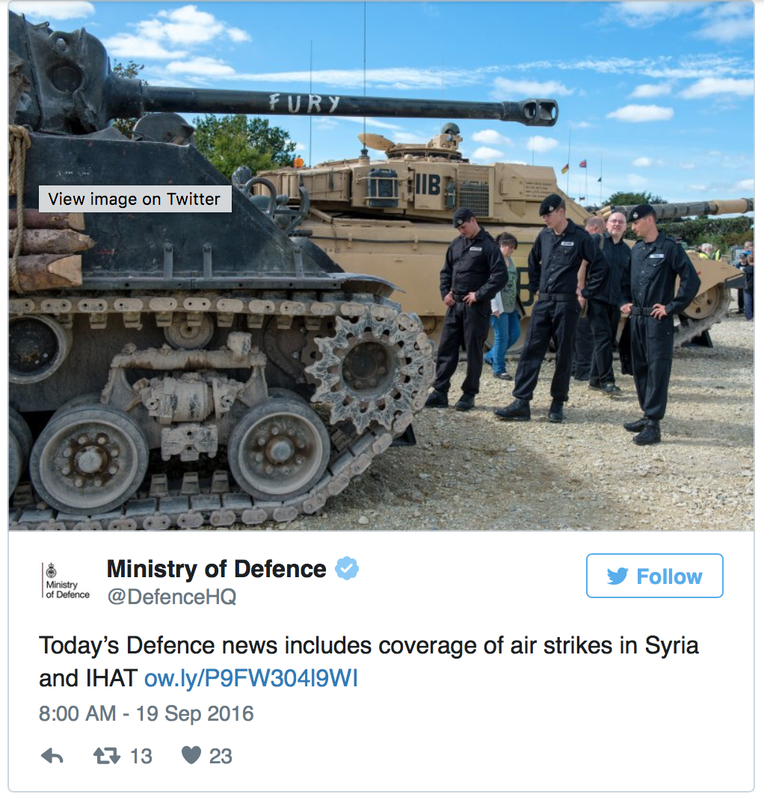 UK airstrikes have been officially carried out as part of Operation Shader in Syria since a vote in favour in December 2015. A previous vote in 2013 did not authorize air strikes. UK forces have been operating from RAF Akrotiri in Cyprus. It emerged in August that British Special Forces were also operating on the ground in the country.